Because Audi owners often find themselves driving through the desert. Should you ever find yourself needing to drive through the deserts of the Middle East, what car would you pick? Maybe you would opt for a Jeep Wrangler or a Toyota Land Cruiser. 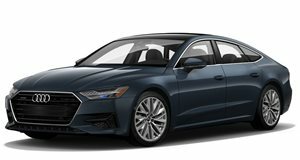 One car that might not come to mind is the Audi A7 Sportback. The German automaker hit the Dubai desert to show off its quattro all-wheel drive system, and the result is visually stunning. Yes, the course was controlled but the A7 still effortlessly tore up and down Dubai’s seemingly endless dunes. You may still prefer a buggy to an Audi when it comes to desert fun. Just know that if you ever need to dominate some sand dunes an Audi will do in a pinch, although you should probably avoid the TT and R8.